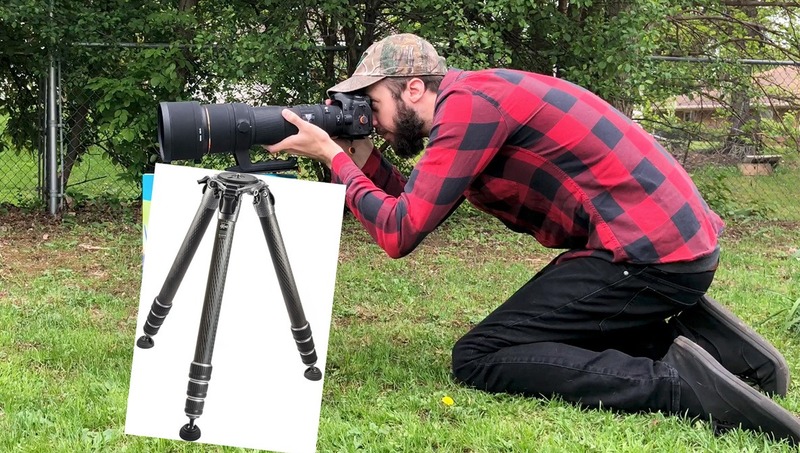 Unless Gitzo has really changed up their tripod product lineup, I think something peculiar might happening over at Amazon. Last Sunday I ordered a Gitzo GT5543LS tripod off Amazon. It was marked as sold directly by Amazon, not a third-party seller, and was shipped via Prime two-day. On Wednesday, what I found sitting on my doorstep after the UPS driver doorbell ditched was quite unexpected. 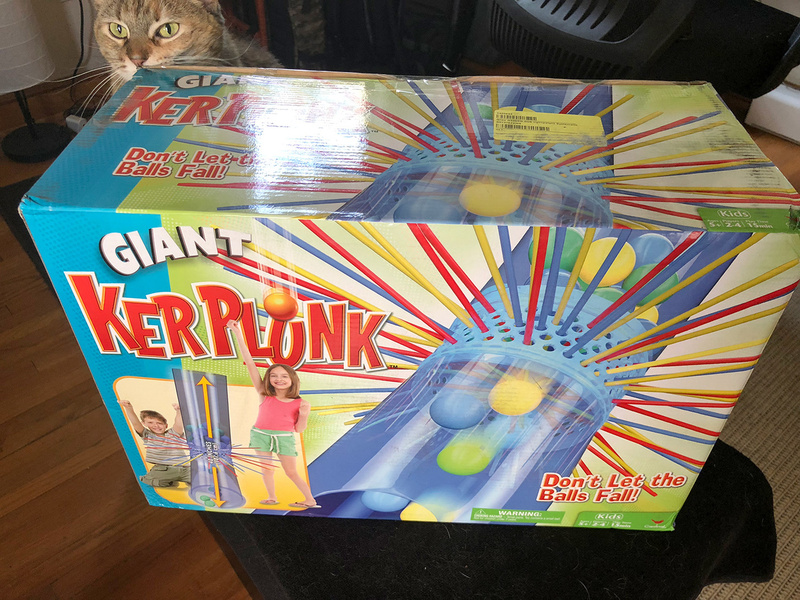 Rather than a decently weighted brown Amazon box, I saw a Giant Kerplunk children’s game. My first thought was that a neighbor had put it there, but sure enough it had a shipping label slapped on it addressed to me. Confused, the next thing I noticed on the flimsy box barely held together was a label: “Gitzo GT5543LSUS lightweight Systematic.” Uh oh. After requesting a replacement, today was the big day where I’d finally get to go out and start using the new tripod being delivered. After another classic doorbell ditch from UPS, things looked good as Amazon had the courtesy to actually use a shipping box this time. And it looked like it was big enough for the Gitzo! Picking it up, however, I knew I shouldn’t have gotten my hopes up. Too light. Sure enough, inside was another Giant Kerplunk. Unfortunately, with Amazon being the juggernaut that it is, it’s not like I can just call up the warehouse and talk to someone who can do anything to directly fix the problem I’m having. Instead, I’m left filling out automated refund and replacement forms that are obviously not getting me anywhere closer to having that beautiful Gitzo in my hands. Immediately my mind goes to the vlogger ChaseOnTwoWheels who earlier this year twice received a box of rocks from Amazon instead of the $5,499 Canon 1D X Mark II he ordered directly from them. Luckily for him, everything seemed to work out in the end. Have you run into similar issues? I can see being sent the wrong model number, but a completely different product, multiple times at that, is a new one for me. Comfort me in the comments below. This is not the case. If you search for "b07376zknn" you will get the tripod in the results. From the comments on the previous articles I saw cases like these were not uncommon. At least there's still a refund option. BTW, the box label looks so fake to me. If you go through the online customer service have them flag the order to "quality check for correct item". Good chance that will get a human involved. 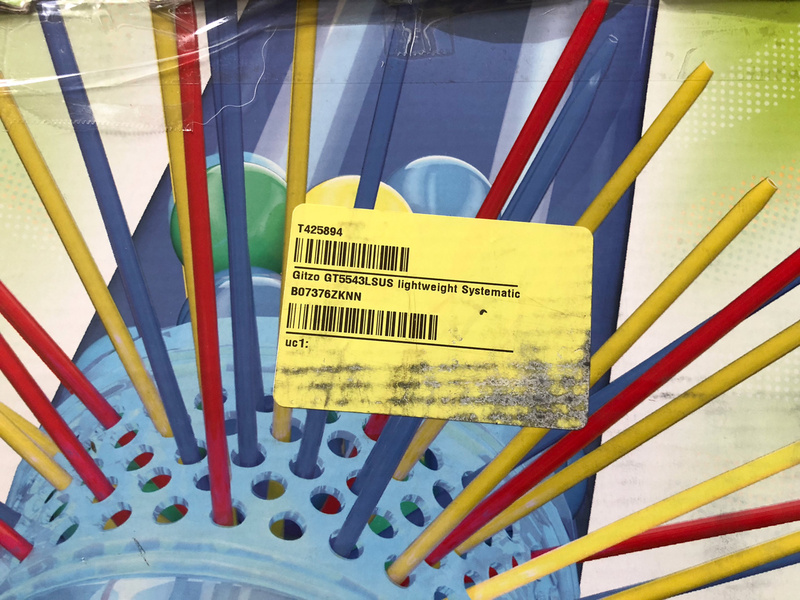 At a guess, a supplier meant to set themselves up as being able to sell the Giant Kerplunk, but has accidentally selected the Gitzo instead. Amazon's ordering system has favoured them as a supplier because they had the lower price (and probably a good record on other skus - eta, correct product, etc), and so they've now got contaminated inventory. 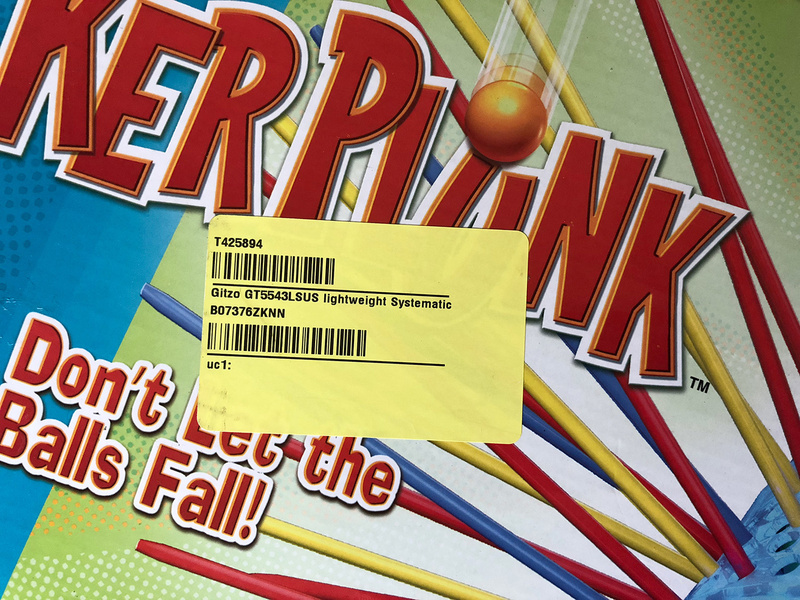 Picker's being sent to get the coded item from the warehouse location, gets the right one as far as he knows, *bam* Kerplunk arrives again. Yes, recently I ordered a refurbished manfrotto carbon tripod, sold and shipped by amazon. I got an old aluminum tripod from Manfrotto. Good box, false tripod. This is clearly how Amazon warehouse employees burglar the company they work for. I got refunded, which took much longer than promoted, and sent a message to Jeff Bezos, asking for a “?” mail. Seems that tripods are an interesting business at Amazon. The employee is a burglar. The employee burgled the tripod. The more likely scenario is that someone ordered the tripod. Took the new one and then returned it with their old one to game the system. The returns team sees a tripod is being returned and the box contents also contain "the tripod," so it goes back into inventory. Chorus then gets the old tripod. 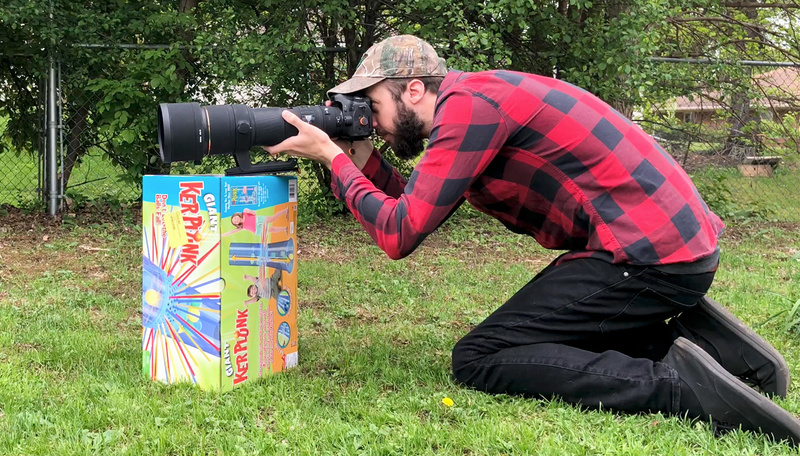 Given all of the complaints that I hear about Amazon warehouse employees being thoroughly searched on their way out of work (off the clock), I'm not exactly sure how one of them would just walk out with something as large as a tripod. It's easy if the security guards are part of the deal. 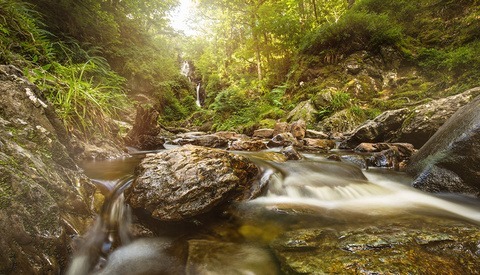 Rationally the most lucrative items - luxury watches and high-end cameras for example - are likely to be subject to special precautions - kept in a special area where they can only be handled by specially vetted workers, etc. 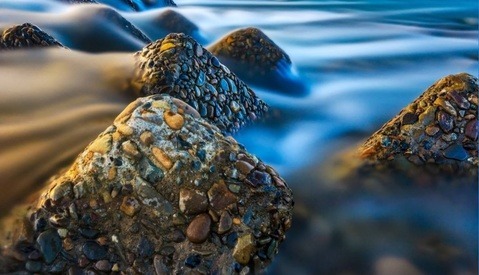 A $1000 tripod may well be one the most valuable items that isn't a "special". And really, one worker and one guard may be all it takes. That’s one reason why I never use Amazon. In Canada, prices for a lot of items are 10x the American price! Pretty good testimony for dealing with a local dealer or at least an online photographic retailer. Juggernaut or not, I've always been able to get a real person on the phone and have them clear up order issues immediately. Have they changed their customer service options? I used to work for Amazon, and I can tell you now this is a simple mislabel. Somebody put the wrong sticker on the wrong box. You'd think the picking employee should have noticed the mismatch, right? Probably not. The employee isn't looking to match the title, the employee has a location bar code they are hunting down and a scanner gun. They get to the location, scan the location, scan the sticker on the box, it matches, they grab it and throw it on the conveyer. If they do notice, they may not do anything about it just simply because that might set them behind. It's not the picker's job to fix mistakes, it's their job to pick the correct bar code product from the correct bar code location. Every time you have efficiency drilled down so intensely, there are problems that pop up and this is one of them. Because this mislabeling probably occurred on lots of units, simply using the automated return form won't fix anything because they're just going to go back to the same location code and pull another box off the pallet. The label scan will match what they are searching for, and the process repeats itself. The correct way to fix this is to call Amazon and speak to a human. Call 1 (888) 280-4331 and tell them you received a wrong item, and that it is clearly a mislabeling problem. They will cut a ticket to the warehouse(s) and an investigator will fix the stickers. Then when your replacement unit is sent, it will be correct. E-mailing jeff@amazon is way overkill for something this simple. That is designed for big problems that require the attention of a specialized team that answers Jeff's mail. Think, "The warehouse lost my pallet worth $10,000 and they won't reimburse me," type stuff, not "this unit got mislabeled." Quite literally if the team that answers Jeff's e-mail gets this specific case, they will kick it back to the same customer service team you can talk to on the phone. The "employee is a burglar" comments are way off base. You think employees can walk out of the warehouse holding a tripod? Or anything? They go through security checkpoints, people. When you get an old product in a new box, that's what we called a 'switcheroo,' where a customer orders something new, puts something old back in the box, and returns it. If they are clever enough in how they seal it, it might get received as New on the return and then sent out to another customer. The employees aren't stealing stuff, a dishonest customer scammed Amazon. Report this stuff, because Amazon is able to tell which dishonest customer returned which unit now. 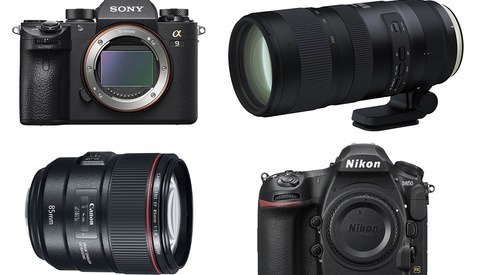 I hope for the day that I order a lens cap and gets a Sony A7mk3 delivered. I'll not send it back. Everybody can make mistakes and I should be lenient. I have such a love hate thing with Amazon. I became so frustrated several months ago I tried to cancel my account. The cancel or delete your account is so buried inside their page’s. It is akin to finding a lens cap in a field of asparagus. I called them and talked some dude in Afghanistan data center. His English not perceptalble, He ask me to join the Taliban for $10 a month. This is my contribution to fake news . Though I change the names to protect the guilty, It was a night mare to cancel. My bet some employee has a resentment the job, and switch bar codes on your tripod. Here in the UK is actually rather easy to speak over the phone to customer service (real people) at Amazon. You can also do a live chat or ask for a call back! Is this not the case in other Countries? We get stuff nearly every day from Amazon and overall have been quite happy. The very few times that there was an issue that their automated response system couldn't handle I've been able to talk to someone on the phone who has resolved it quickly (they don't publish the number but you can check a box to get an immediate call). I like buying from B&H but they require a signature for most deliveries, which is impossible for us to always be around for, so unfortunately Amazon has been getting much of our business that we'd otherwise have given to B&H. I ordered a Panasonic 25MM lens from Amazon & they sent me a 14-140 Zoom. The barcode on the box indicated it was the 25MM that I ordered. I returned it immediately but after 5 weeks they still haven't credited my card for the return. I've talked with them 3 times & they state due to the value of the returned item that haven't completed their investigation. I guess I'll stick to B&H for future purchases. what lens is that ? Gitzo has really changed their product line. :) Love that last photo!